I should start from the beginning, shouldn’t I? Okay. Yesterday I cracked open the latest issue of Entertainment Weekly, as I do every Friday evening. I actually still receive the print copy, as I have ever since the magazine’s debut back in…what was it…1990? So I’ve seen a lot of trends come and go within its pages, but never an omission as egregious and blatant as the one in this week’s issue. I love reading as well as writing, obvs, so I always go straight to the Books section at the back. I enjoy EW‘s reviews; they take the time to seek out graphic novels to feature alongside “traditional” books, and I always wish they had room for more than a handful of reviews each week. This week’s feature story was entitled “Summer Books Preview.” Great! After all, books + beach/pool/park + sun + cold drink = ultimate happiness, right? Even better, right in the deck was the line, “Is your idea of vacation reading frothy romance?” Ooh, yay, I thought—that meant there was a good chance authors I actually know would be featured in the article. How exciting. So I went straight for the romance category. I ran through the article again. Okay…um…women’s fiction? Even though it always seems that “women’s fiction” is more serious, tackling heavier themes than romance or (ssshhh don’t tell the publishing industry we still read this) chick lit/romantic comedy does, sometimes romance gets included in that category. Nope. No category for women’s fiction. Memoirs, check. Thrillers, check. Horror, sci-fi, even a section for sequels. So I went to the first section, called “Big Fat Beach Reads.” Gotta be some romance in there, right? Where was the fun stuff? 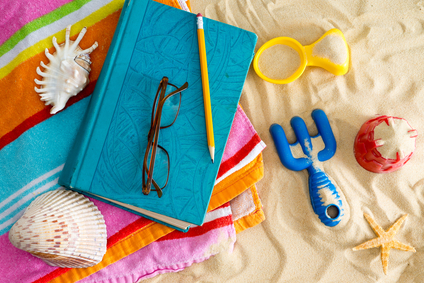 With thousands upon thousands of romance and chick lit titles to choose from, and more being published every week, EW couldn’t find room to mention some books from one of the biggest genres in literature, ones that are perfect for a day at the beach? I mean, let’s be honest—if you’re going to hang out in the sun for a few hours, are you going to take a 20 lb., 600-page, uber-serious piece of literature that’ll put you to sleep (or possibly kill you when you nod off and it falls on you), or are you going to pack a paperback that’ll keep you turning the pages and laughing, one that’ll have you daydreaming of a hot summer romance of your own when you lie back and close your eyes for a few minutes? I know that this ground had been covered before—Jennifer Weiner has been fighting the good fight for ages, trying to get the romance genre some respect. But apparently we’re not making much headway, if a popular entertainment magazine can’t be bothered to talk about romance novels in a summer reading feature. During International Chick Lit Month, no less! Yes, May is International Chick Lit Month, and EW managed to ignore the $1 billion+ romance industry while recommending books to read this month. Ironic? Possibly. Sad? Most definitely. It’s not like it’s hard to find romances to feature. Amazon has more than 1.5 million romance titles listed at the moment. And discussion of the genre is hardly hidden—google “romance blogs” and you’ll get more than 48 million hits. 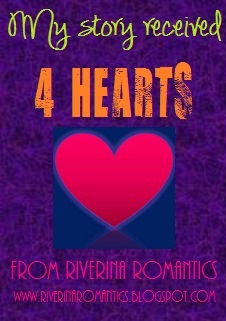 We love to read romance, we love to talk about romance, and we certainly love to share our finds with one another. You’d think Entertainment Weekly wouldn’t waste its energy, twisting itself into a pretzel to avoid talking about a genre that’s immensely popular—so much so that it manages not to mention quintessential beach reads in an article about beach reads. This hot dude is picking up romance tips. Trust. That is one hell of an accomplishment. Of course, all will be forgiven if, next week perhaps, the feature story in the Books section is devoted solely to romances, maybe even a spotlight on chick lit/romantic comedies—whatever you want to call them. But I won’t hold my breath. In the meantime, stay fusty, EW. Stay fusty. Great response, Jayne. I can’t believe they headline it as romance and then skip the genre entirely. Shame. Stunning—absolutely stunning. I kept thinking I was missing something, like a page of the magazine got ripped out! But no. This post is epic, Jayne, and of course I agree with every point. Plus, I love the gifs. 😉 When will our female-centric genres get their due? Thanks, Tracie! And I really wish I knew—this is getting ridiculous!